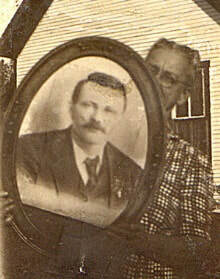 James, or Jimmy as he was called, was born on June 16, 1874 in Missouri. 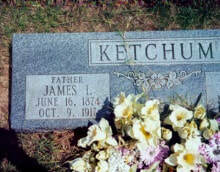 He was the son of James Alexander Ketchum and Mary Jane Brown. 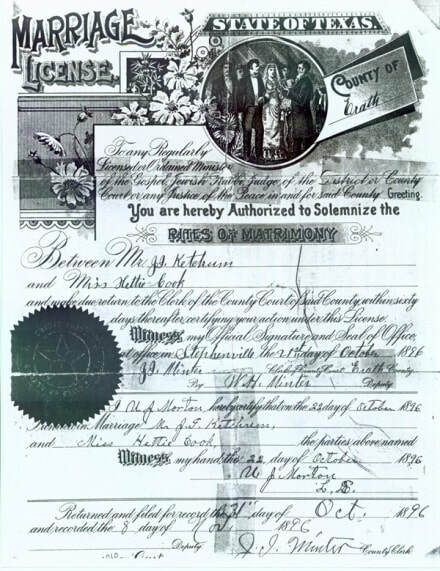 He married Hettie Cook on August 10, 1873 in Phelps County, Missouri. 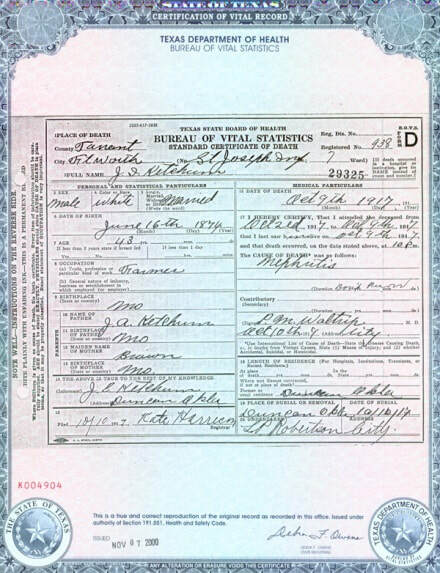 Hettie was born on March 6, 1879, in Dublin, Erath Co., Texas. 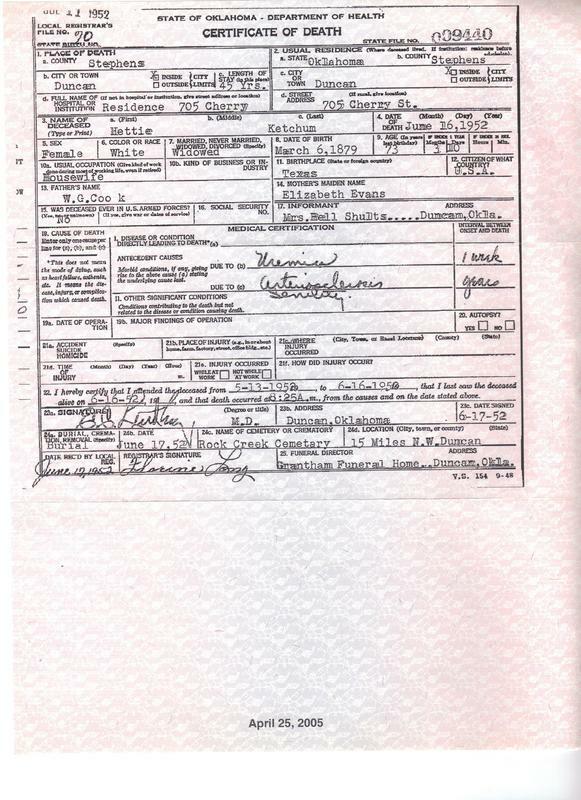 Hettie was the daughter of William Artice Cook and Nancy Elizabeth Evans. Jimmy was a farmer. He died of nephritis (inflammation of the kidney, usually Brights Disease) at St. Joseph's Infirmary in Fort Worth, Texas on October 09, 1917. Jimmy is buried in the Rock Creek Cemetery, Duncan, Stephens County, Oklahoma. 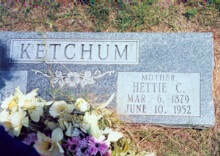 Hettie died on June 16, 1952 in Duncan, Stephens Co., Oklahoma and was buried beside Jimmy on June 17, 1952. After Jimmy’s death, Hettie and her children continued to live on their farm, which was near her father-in-law’s farm. A story was told that Indians used to stop by their house and would just sit on their horses watching the house. Hettie would send one of her sons to bring her father-in-law back to scare the Indians away. The Indians never did any harm, it was thought they were in search of food.